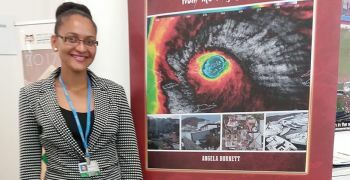 Angela Burnett Penn is an Environmental Officer (Climate Change) with the Ministry of Natural Resources and Labour. In this role she has designed and implemented public education programming, conducted a vulnerability and capacity assessment of the tourism sector to climate change, authored the Territory’s Climate Change Adaptation Policy, managed local adaptation projects and helped lead the development of the Virgin Islands Climate Change Trust Fund. In addition to that, Angela’s work involves creating innovative environmental programmes, for example; the local Green Pledge programme, and lots of environmental policy and law work. She is currently helping on the development of a comprehensive environment bill, a beach policy and a revised Marine Estate Policy. Angela started working at the Ministry of Natural Resources and Labour in 2007. Prior to that, she worked with an international environmental Non-Governmental Organisation (NGO), The Ocean Project, based in the United States of America for a year. Challenges tend to arise in any work environment and for Angela she is able to overcome by reminding herself of her ultimate goals, even though they may be very slow in coming. “Working in the environmental/planning field is slow and grinding. It takes years, sometimes an entire career, before you see the fruits of your labour. It’s a constant challenge to accomplish your objectives as there are always competing interests and ideas and the environment is unfortunately often low among them. When frustrations come, I try to always remember why I do what I do and who I'm really working for. Angela is a product of the St George's Primary School and the then BVI High School (now Elmore Stoutt High School). 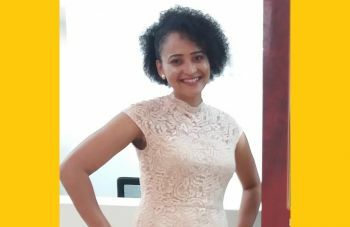 Our Young Professional attended H. Lavity Stoutt Community College (HLSCC) part time for 1 year doing General Studies before furthering her studies overseas. In 2007 she graduated from Brandeis University in Massachusetts, USA, with a Bachelor’s Degree in Environmental Studies and Sustainable Development. Angela also holds a Master of City and Regional Planning (M.C.R.P.) degree from the Rutgers University Edward J. Bloustein School of Planning and Public Policy in New Jersey, USA. Ultimately, Angela would like to have her own regional consultancy or NGO that “marries my background” in environmental management and urban and regional planning. “I'd love to work across the Caribbean to reshape the future of the region - how we protect our environment and how we plan our development in a changing climate." Angela, not surprisingly is an outdoor person who enjoys the beauty of nature. September 6, 2017 is an unforgettable day in the Virgin Islands, the day Hurricane Irma devastated the Territory. There have since been many stories shared by people who experienced the most powerful Atlantic hurricane to ever make landfall. Some of those stories were captured in a book compiled by Angela: The Irma Diaries: Compelling Survivor Stories From The Virgin Islands. The soft launch of the book was done at the United Nations Climate Change Conference in Bonn, Germany on November 14, 2017 and was also launched in the Virgin Islands on December 19, 2017. 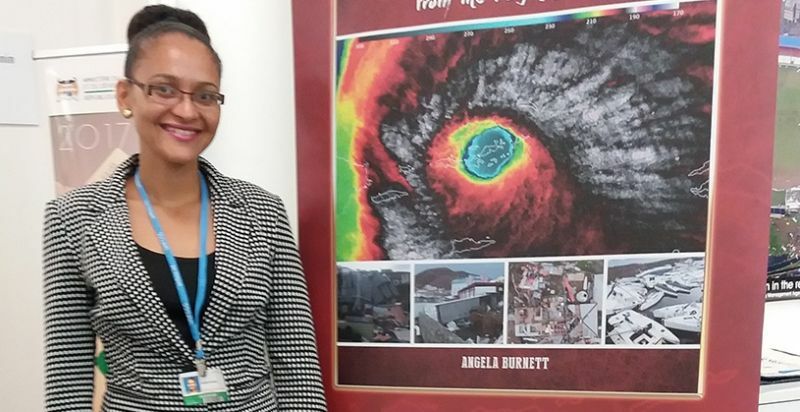 Angela said inspiration for The Irma Diaries came during the first month post-Irma, while she was volunteering at the National Emergency Operations Centre. “There, I learned from official sources that in actuality four people of the roughly 36,000 that make up the population had died during Irma, not 15 to 20 as had been rumoured. While this was a much more palatable number it was also unbelievable to me. I became absolutely fascinated by how people must have survived, and it dawned on me that these amazing stories could really help to connect people in a personal and tangible way to climate change, which for many remains an abstract and distant concept. The reality is that we only act on the things we care about, and we often need a personal connection to something in order to care. And so, I set out to collect survivor stories and The Irma Diaries was born." This is Angela’s first published book but will not be the last either as she was working on another manuscript when Irma hit. The Irma Diaries has been attracting great reviews on amazon.com where online purchases can be made. Our Young Professional no doubt has a wealth of knowledge and not just in her field of work. She also seeks to pass on this knowledge to others. Our exemplary Young Professional advises youth to, while being practical, pick their career based on their passion. “Make it something meaningful to you and the world. Don't let others force you into a career you don't want. When I started out in the environment field, I think everyone around me thought I was underselling myself/not living up to my potential; no one saw my vision. Because I did well in school everyone thought I should have followed the more traditional path and pursued being a doctor or a lawyer. 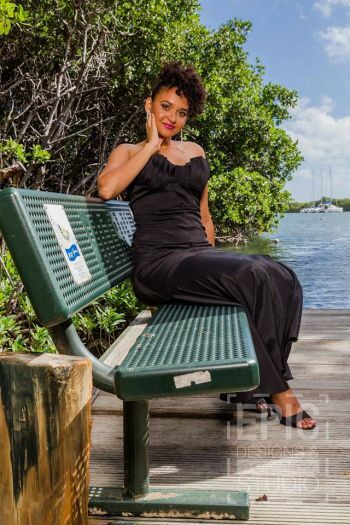 Today, any waves I make are because I'm passionate about what I do and passion never fails you,” says Environmental Officer, Author, Private Tutor and passionate Virgin Islander, Angela Burnett Penn. You go girl. I'm a beach bum also. Bravo Angie, from your American auntie. Your voice is so important in this day of anti-planning, quick development and big money. It takes patience to take the long view for sustainability. You have always had that patience and vision. You have always been wise beyond your years. If I could vote, I would vote for you to be a member of government where you might have a bigger voice, but maybe this way, people won't be as threatened and maybe people in charge will pay attention to what you are saying. Preservation of historical sites and coastlines and sustainable development are not mutually exclusive. One cannot plunk a marina/ hotel down in the middle of mangroves without consequences. One cannot build without study of traffic, noise, height, setback, infrastructure, road runoff, and poor engineering. And, with all the architects we have on island, why are they not paying attention to BVI character and local context so as not to look like Miami or Dubai? Don't kill the very thing visitors come to experience-- that is---an authentic cultural experience. And that included protecting the coast line, rare trees and birds. So, congratulations Angie, and I wish you patience, wisdom, imagination, tenacity, and support of the people. You are a bright light. Love it! Awesome article on a great woman. Keep up the good work, Ang, you're an inspiration. Beauty and brain. Good luck in your endeavours. Now this is good quality to lead our country forward.Best of luck in ur future.MsPenn always keep up chin strong never allow negative stuff to turn u alway from home. Lovely read. The BVI is blessed to have you. Wish you well in your endeavours. Such a lovely young lady. Was a pleasure teaching her in high school. Happy she chose the career path that she is passionate about. Continue to excel Angela. The sky is the limit. Thanks to everyone for all your words of encouragement and support; they are appreciated.